Sen. Tim Kaine (D-Va.) introduced legislation on Tuesday for the first-time ever that seeks to protect LGBT kids from child abuse. The Protecting LGBTQ Youth Act seeks to prevent the mistreatment of LGBT youth. According to 2011 analysis from the National Institutes for Health, LGBT youth are 3.8 times to face sexual abuse and 1.2 times more likely to face parental physical abuse. · And include individuals experienced in working with LGBTQ youth and families in state task forces. Co-sponsoring the Protecting LGBTQ Youth Act is Sen. Tammy Baldwin (D-Wis.), the first out lesbian elected to the U.S. Senate. 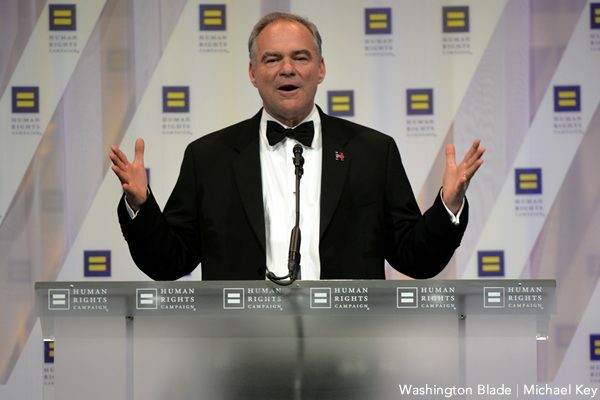 Kaine introduced the Protecting LGBTQ Youth Act on the same day he introduced the Child Welfare Workforce Support Act, which seeks to address high turnover rates among child welfare workers. The bill would direct the Department of Health & Human Services to conduct a five-year pilot program on finding the best practices for recruitment and retention.